Whistleblowers have a mixed reputation. Some reveal wrongdoing, fraud and corruption and become heroes. Others reveal information and are smeared so badly they cannot find other employment. 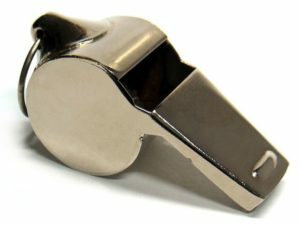 If you are a whistleblower or considering becoming one, here is information on how to protect yourself. Whistleblower laws protect people reporting, opposing or refusing to engage in violations of laws, regulations or rules. Someone who refuses to work unpaid overtime or violate environmental laws whether out of concern for the environment or their personal safety is protected by whistleblower laws. Whistleblower laws protect people whether reporting these violations to government agencies, those higher up the management chain or unions. Whistleblower laws don’t apply to all types of complaints. For example, you have to have a reasonable belief the practice is illegal or a violation of the rules. This prevents someone refusing to perform a task that they don’t want to do and then hiding under whistleblowing laws. Sexual harassment complaints aren’t covered by whistleblower laws, though systemic discrimination against a class of job applicants or employees could result in whistleblower protection when reported to the EEOC. Running to the press to report something instead of reporting it to the appropriate legal authority could hurt your case when seeking protection from retaliation. And waiting too long after events to come forward can cost you your ability to sue, if the statute of limitations is reached. Before you “blow the whistle”, learn what is and isn’t whistleblowing and check if you have a valid lawsuit on your hands on a site like www.lawsuitlegal.com. Document everything you have done to date, such as what you’ve witnessed, when and where it happened, and who else was involved. Make copies of timecards, emails and records that support your claim. Continue to document matters as you attempt to report issues, and try to report them within the chain of command before you go over someone’s head. For example, if your employer is violating labor laws, report it to his or her manager first. The company may resolve the issue at this point. If you go to the feds before reporting the matter to the company, the company’s own leadership and legal department don’t know that you should be protected from retaliation. If the manager is complicit in the lawbreaking or actively engaging in it, consider consulting the legal department or ethics department. Document these efforts to report the matter internally, because this gives you more legal standing if the company retaliates against you when you go outside of the chain of command. The documentation is also evidence if the matter goes to court, such as showing that you reported the law breaking to legal on May 8 and your June performance review was below expectations though prior performance reviews were flawless. Make copies of your performance reviews, so that you can use them in your defense if wrongly terminated. Document everything about prior job descriptions and the subsequent increased demands, shifted schedules that are incompatible with one’s needs, reduction in hours or other punishments. Take notes about harassment that occurs after whistleblowing at work and in one’s personal life. Little things like losing your parking space, denial of use of the onsite benefits and transferring you to a worksite with a longer commute are all adverse employment actions that a lawyer should know about when handling your whistleblower suit. Understand what is considered whistleblowing and what isn’t, and seek legal counsel before you go public or to the authorities to report something except through the company’s own chain of command. Know what conduct is and isn’t protected from retaliation. Document everything that has happened before the time you decide to report the matter, and start documenting your efforts to report it to management before you report the matter to legal authorities. Consult with an attorney if you’ve already suffered consequences for whistleblowing or are concerned about your job and reputation before you come forward.